Figure skaters can go to camp during the summer. Many week-long, overnight, and day camps for ice skaters are available at figure skating training centers throughout the United States. This article lists some of the most famous summer skating programs in the U.S.A.
Olympic Silver Medalists Tanith Belbin and Ben Agosto train in Canton, Michigan under coaches Igor Shpilband and Marina Zoeva who also coach 2007 world dance competitors Meryl Davis and Charlie White. 2007 U.S. Pair Skating Champions Brooke Castile and Ben Okolski also train at the facility under former U.S. Pair and Dance Champion Johnny Johns. Ice dancers from both the United States and Canada train at the facility. A summer program is available for training in ice dancing, pairs, and single skating. The Aspen Summer Skate Adult Week combines on and off ice classes. Skaters get a chance to be in the beautiful Colorado Rocky Mountains and skate daily. Two week-long camps are held in late July and early August. Some participants are only twenty years old and others are over sixty-five. There are classes on edges, moves in the field, ice dancing, freestyle, and power. Skaters get a chance to work out at a gym. Private lessons and open ice time are available. The adults who participate have lots of fun and do make friends. Figure skaters from all over the world come to Colorado Springs to spend part of the summer training at the Colorado Springs World Arena Ice Hall. Skaters have come to the World Arena from Australia, Finland, Japan, Korea, Mexico, and Sweden. Coaching is provided by a world famous coaching staff. There is an extensive ice session schedule and two sheets of ice. Off-ice training opportunities are available. The famous Broadmoor Skating Club makes its home at the Colorado Springs World Arena. Many skaters compete in the Broadmoor Open which is held in June each summer. The International Skating Center of Connecticut offers a figure skating program that is considered one of the finest in the world. Olympic Gold Medalists Ekaterina Gordeeva and Ilia Kulik are the rink's head coaches, but there are other top national and international coaches teaching at the facility. There are two ice sheets available. Beginners and Olympians train at the International Skating Center of Connecticut. Dorms and meals are available for skaters participating in the summer skating program. Kendall Ice Arena in Miami, Florida offers a summer training camp for high-level figure skaters and also holds a "Learn to Skate" camp. Skaters are divided into groups according to their skating level. There are structured figure skating activities. Campers are supervised from 8:30 AM until 4:00 PM. Guest coaches are welcome. Skating is legendary in Lake Placid, New York. Two ice sheets are available for training. There are off-ice and on-ice groups classes available. Private lessons can be arranged. The coaching staff consists of several World and Olympic coaches and choreographers. Two huge summer competitions occur at Lake Placid each summer. Skaters from all over the world take part in the Lake Placid Dance and Freeskating Championships. Adult Skating Weeks are held in June and in August. Shattuck-St. Mary's School is a boarding school that offers a program for competitive figure skaters. Every summer, the school hosts a three-week figure skating training camp in June. Skaters may enroll in one, two or three weeks. Each week features a different guest coach, and skaters receive up to 24 hours of supervised freestyle ice and almost 30 on and off-ice instructional classes. Sky Rink in New York City - "Summer Champions Program"
Sky Rink in New York City is one of the world's top figure skating training centers. Sky Rink's "Summer Champions Program" prepares figure skaters to succeed in competition. A National, World and Olympic coaching staff make it possible for the rink to offer a complete on and off-ice training experience. Off-ice classes, such as ballet and yoga, are mandatory. Three freestyle sessions per day are included in the camp tuition, but skaters can skate more sessions if they wish. The camp's participants are closely monitored and instructed on and off the ice. Campers skate in weekly exhibitions each Friday. For years, Sun Valley has been considered a wonderful place to skate during the summer. Figure skaters can mix a family vacation in with their figure skating training. Some other activities that can be enjoyed in Sun Valley are biking, hiking, inline skating, horseback riding, swimming, bowling, golf, tennis, and boating. The high altitude training is considered a plus. Two ice sheets are available. One is outdoors. The facility includes a ballet studio and a jump harness. Sun Valley's coaching staff includes national and international coaches and competitors. Several hours of ice time is devoted to figure skating. Special clinics, competitions, shows, and test sessions take place during the summer. The University of Delaware Ice Skating Science Development Center is a year-round figure skating training facility. It is located on the grounds of the University of Delaware campus. Skaters are housed in the university's residence halls. Instruction and ice time is available in moves in the field, freestyle, pairs, ice dance, and stroking. Group classes are offered on and off the ice. The program is directed by Ron Ludington who is a World and Olympic figure skating coach. The peaceful campus environment helps skaters concentrate on skating. 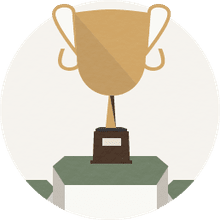 Winning Techniques is an overnight camp located 15 minutes north of Huntsville in Ontario, Canada. 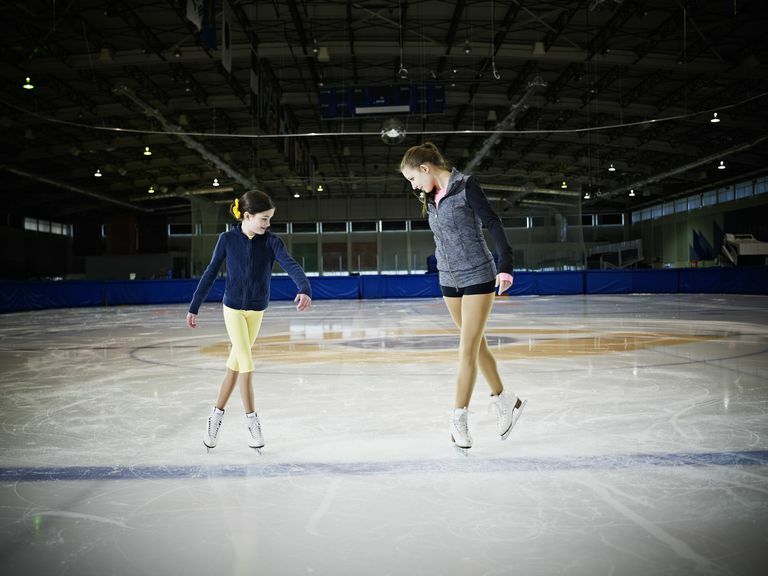 Campers can choose a weekly specialty program from 10 sports options; one of the options includes figure skating. The camp's directors, Kim and Adam Grin, both have extensive figure skating and coaching experience. How Much Should a Figure Skater Skate?